Trained as a Professional, I have been in the Construction Industry since 1978. 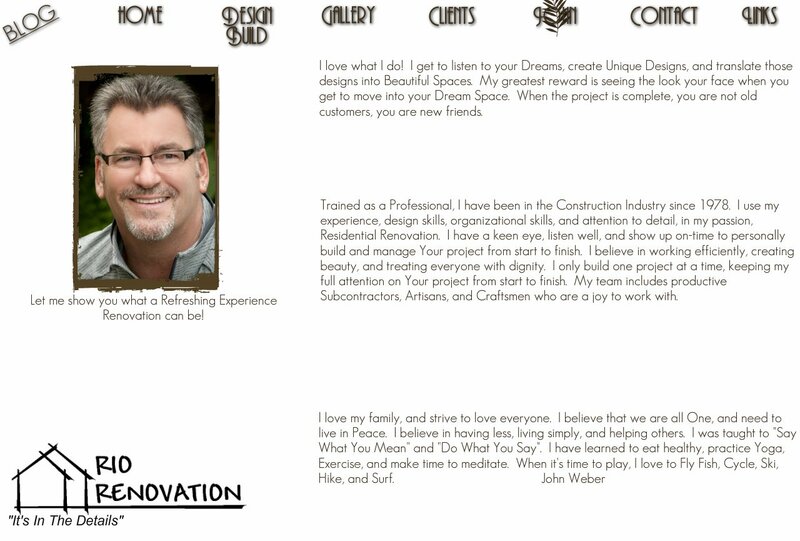 I use my experience, design skills, organizational skills, and attention to detail, in my passion, Residential Renovation. I have a keen eye, listen well, and show up on-time to personally build and manage Your project from start to finish. I believe in working efficiently, creating beauty, and treating everyone with dignity. I only build one project at a time, keeping my full attention on Your project from start to finish. My team includes productive Subcontractors, Artisans, and Craftsmen who are a joy to work with. Let me show you what a Refreshing Experience Renovation can be! I love what I do! I get to listen to your Dreams, create Unique Designs, and translate those designs into Beautiful Spaces. My greatest reward is seeing the look your face when you get to move into your Dream Space. When the project is complete, you are not old customers, you are new friends.